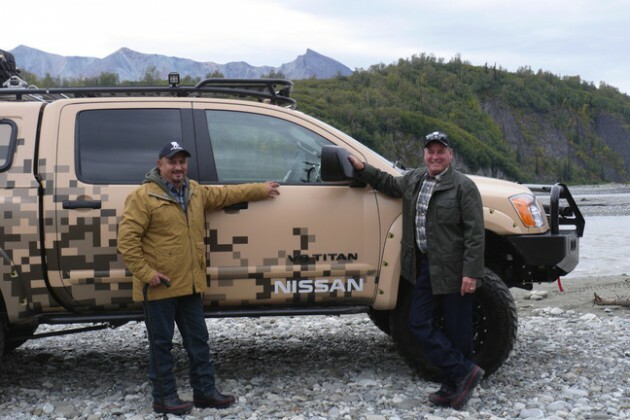 The journey of Wounded Warrior Project Alumni David Guzman and Kevin McMahon through the wilds of Alaska in their customized Nissan Titan has begun, and the pictures have started rolling in. 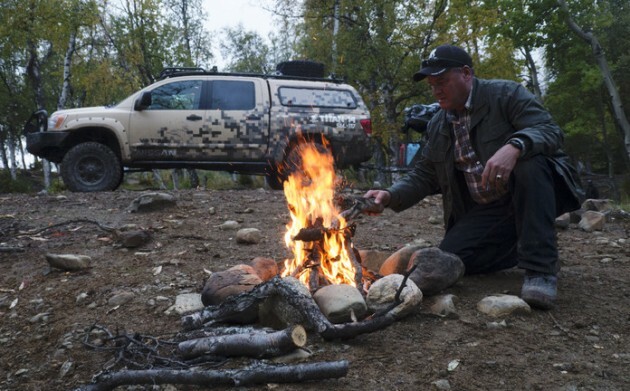 Not only does the Project Titan truck appear to be fully capable of handling some deep mud and rocky trails, but it appears that the two U.S. Military veterans are having an exceptional time, cozying up to a riverbank for some fishing next to a roaring bonfire. If nothing else, these photos are definitely effective in terms of getting us excited for fall. 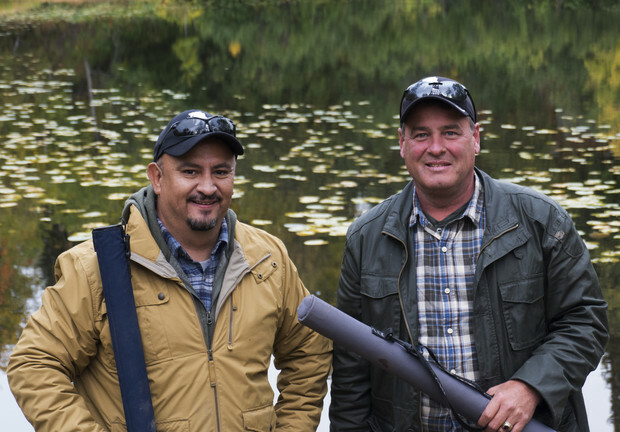 David Guzman is a Mission, Texas native who served in the United States Army for 16 years. He has spent more than a decade as an affiliate of the Wounded Warrior Project after being wounded by a roadside bomb in Iraq. 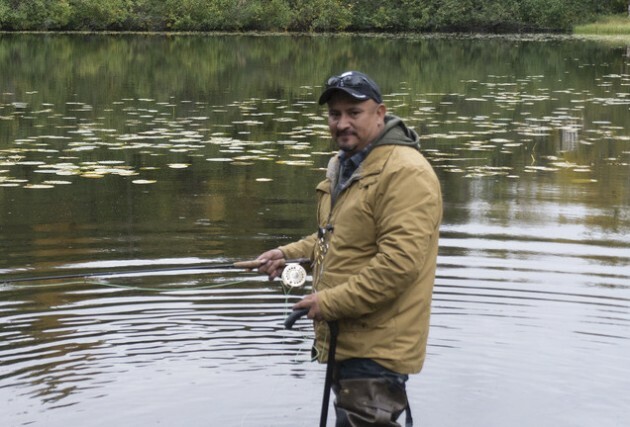 Guzman is a chef, mechanic, welder, certified SCUBA diver, cyclist, and a Peer Mentor. 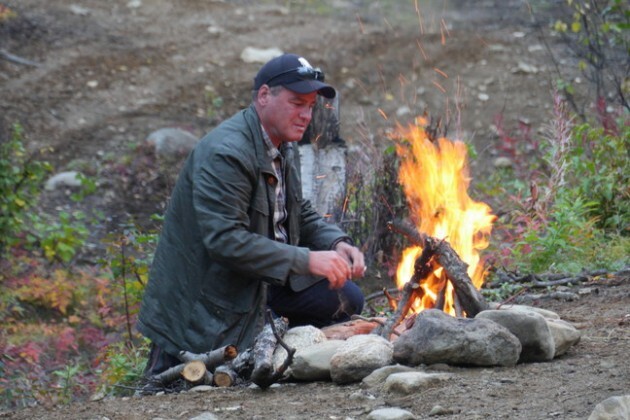 Kevin McMahon hails from Old Lyme, Connecticut and spent three years with the USMC before transferring into the Army National Guard, where he served dutifully for 28 years before being wounded in Iraq. He was been a WWP Alumnus for four years, and he teaches handicapped skiing in the winter and assists with a handicapped SCUBA diving program during the summer. Because it’s a small enough world, David and Kevin first met at a Culinary Institute of America boot camp in Hyde Park, New York. This means that whatever the two WWP Alumni are catching and cooking is almost certainly a work of culinary art.